Well the links lead from me to me. 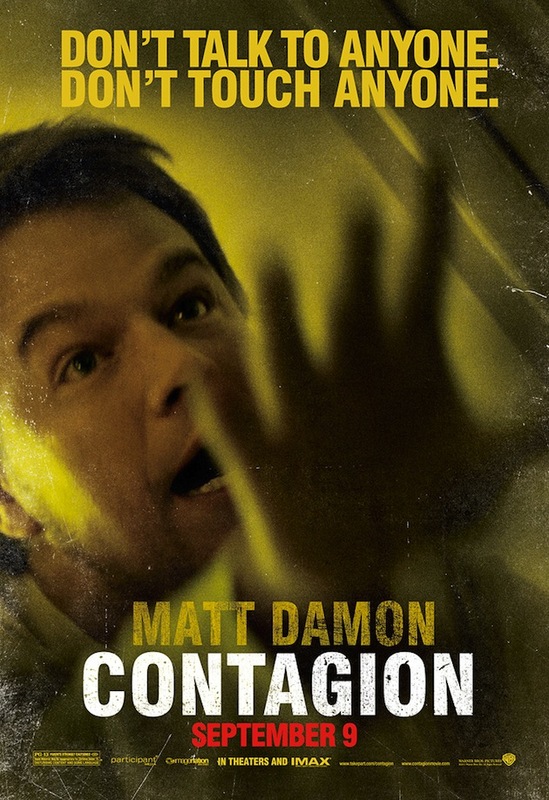 Let me begin with the new character posters for Steven Soderbergh‘s Contagion, which I talked about for Nathaniel R’s The Film Experience. Blythe Danner has seen her daughter’s poster, apparently. The comments went beautifully, as people remembered the Gwyneth and Winona frenemy situation and surprisingly, Matt Damon‘s poster is competing to be the second favourite along with Laurence Fishburne‘s. Speaking of Kate Winslet movies, she’s playing the role of She-Hulk in Roman Polanski‘s new film Carnage, a movie I won’t shut up about until its release. I didn’t like the poster, but it’s a surprise hit for the commenters at Anomalous Material, where I’ve also been busy writing news and reviews. I think that John C. Reilly has the best colouring here, while I’m not into Jodie Foster and Christoph Waltz‘ orange so much although yes, there are loathsome orange people out there. I also reviewed Crazy, Stupid Love at YourKloset, a website that I write for when movies and fashion collide, which thankfully happens often enough for me.